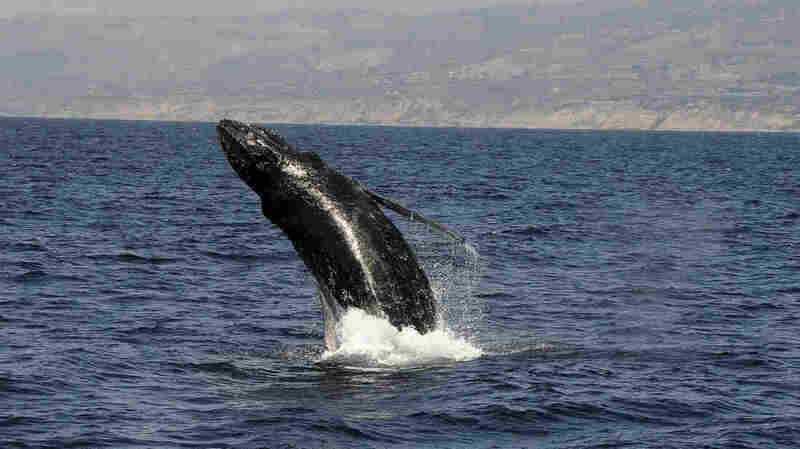 Most Humpback Whales Off Endangered List In 'Ecological Success Story' Some whales of the Western U.S. will retain protections, and the moratorium on whaling remains in effect, but the National Marine Fisheries Service says most humpback whale populations have recovered. 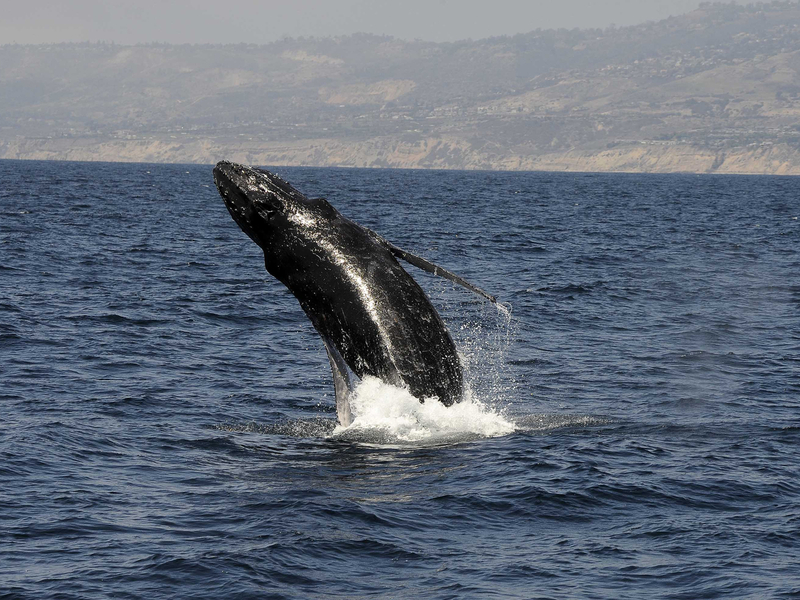 A humpback whale breaches Aug. 6 close to a whale-watching boat off the coast of Long Beach, Calif. Most humpbacks off the Western U.S. remain endangered, but 9 of 13 populations worldwide are considered stable enough to remove the designation, it was announced Sept. 6. Federal authorities took most humpback whales off the endangered species list Tuesday, saying their numbers have recovered through international efforts to protect the giant mammals. "We just saw a lot of whales. So we thought this is a success in ocean management and we wanted to point that out to the world - that things are good with whales in Hawaii," said Phil Fernandez, president of the Hawaii Fishermen's Alliance for Conservation and Tradition. The different classifications mean that Alaska's whales will be a mix.